We all know the impact of sleeping on a worn-out or uncomfortable mattress. Groggy and achy we still power through the day, feeling less than ourselves. Just like adults, children need quality, restorative sleep to lead happy and healthy lives. Without the proper amount of shut-eye, your little one may have trouble focusing, paying attention or remembering information, which can lead to problems at school. When purchasing a mattress for your child, remember that kids tend to sleep longer and deeper than adults, and need a bed that supports their growth and well-being. A good mattress plays a critical role in allowing your tot or teen to wake up refreshed and ready to tackle the day ahead. Choosing the best mattress for your child doesn’t have to be overwhelming. While it’s true there are many styles, materials and models available, keeping these tips in mind can make the process simple. A quality mattress can last upwards of 10 years, accompanying children through their formative years. When mattress shopping, consider a bed that will grow with your child, until he or she heads off to college. Size considerations – Unlike clothing and shoes, children don’t have to outgrow their mattress. It may be tempting to purchase a twin for your young one, but tweens and teens may feel more comfortable in a full size bed. A larger bed will also accommodate children who are taller than average. Support is key – Most parents place priority on durability when it comes to their kid’s sleep set up, when support is actually the most important factor. Kids are undergoing constant physical changes as their bones and bodies grow. Whether side sleepers, back sleepers or stomach sleepers, kids need mattresses that offer proper spinal support and don’t create hot spots. This may be achieved with an innerspring mattress, a hybrid mattress with memory foam and coils, or one of the newer latex or gel memory foam beds. Allergy sufferers – A lot of children suffer from allergies and/or asthma – the causes of which are not always clear. If your child has breathing problems or is highly reactive to dust mites or chemicals, an organic latex mattress may be the best solution. 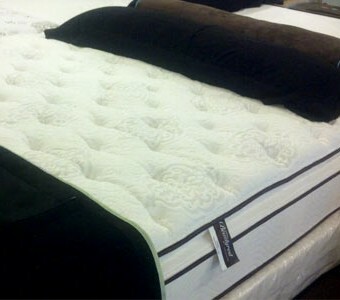 Natural latex foam is antibacterial, hypoallergenic, and has no off-gassing (from vinyl and PVC). Firmness level – Every child will have their own comfort level preferences, but as a general rule mattresses that are labeled “plush firm” offer a good mix of support and soft padding, which ensures resftful sleep in any position. When your child outgrows his crib, it’s tempting to pick up the first mattress you see, thinking you’ll replace it soon. Why not invest in the health of your child by purchasing a quality mattress that will grow with them over the years? At Mattress World Northwest, our staff of knowledgeable Sleep Specialists will gladly answer your questions and steer you toward the best mattress for your child. Visit any one of our 11 Oregon outlets and take advantage of our https://www.mattressworldnorthwest.com/mattress-deals/, with amazing deals on name brands like Simmons, Sealy, Easy Rest and other top sellers.